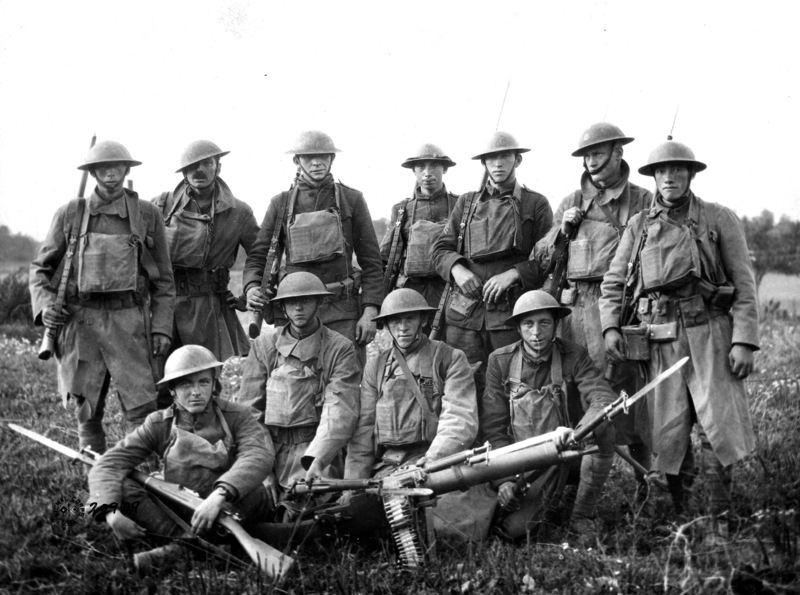 It’s unknown exactly how U.S. service members in World War I (1914-18) came to be dubbed doughboys—the term most typically was used to refer to troops deployed to Europe as part of the American Expeditionary Forces—but there are a variety of theories about the origins of the nickname. According to one explanation, the term dates back to the Mexican War of 1846-48, when American infantrymen made long treks over dusty terrain, giving them the appearance of being covered in flour, or dough. As a variation of this account goes, the men were coated in the dust of adobe soil and as a result were called “adobes,” which morphed into “dobies” and, eventually, “doughboys.” Among other theories, according to “War Slang” by Paul Dickson the American journalist and lexicographer H.L. Mencken claimed the nickname could be traced to Continental Army soldiers who kept the piping on their uniforms white through the application of clay. When the troops got rained on the clay on their uniforms turned into “doughy blobs,” supposedly leading to the doughboy moniker. WikipediaDoughboy was an informal term for a member of the United States Army or Marine Corps, especially used to refer to members of the American Expeditionary Forces in World War I, but initially used in the Mexican-American War of 1846-48. A popular mass-produced sculpture of the 1920s, the Spirit of the American Doughboy, shows a U.S. soldier in World War I uniform. Johnny Doughboy Found a Rose in Ireland,” recorded by Dennis Day, Kenny Baker and Kay Kyser, among others; as well as the 1942 musical film Johnny Doughboy and as a character “Johnny Doughboy” in Military Comics – but was gradually replaced during World War II by “G.I.”.